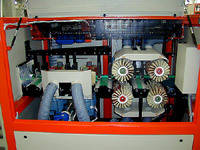 Download the CD2 300 brochure in pdf format. 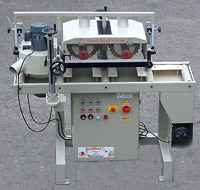 The QL 4 is a fully enclosed profile machine with two sets of abrasive for each face of the profile. 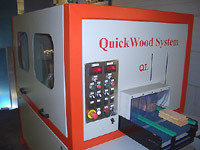 The QL is fully automatic and can be fitted with a scanner to detect the size of the component entering the machine and adjusts the abrasive width and height to suit automatically. 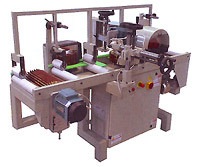 There are variations of this machine available to suit all applications.